This entry was posted in Inspiration and Humor. Bookmark the permalink. 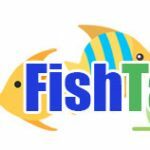 Donna on Hello, and Welcome to my Fish Tanks and More Blog! I love aquariums and just about anything you can keep in them. This is my blog sharing my experiences. Copyright 2019 © Web Graphics and More LLC.